It has been a privilege to serve the residents across Heath & Birchgrove over the past 9 years, including these amazing residents for whom Fenella has worked hard to get improvements to their housing complex. Fenella said ‘It has been an absolute joy to work with residents and to see what can be done by representing their needs & achieving results for them. The review of the license for the New Inn was heard by the Council’s Licensing Committee today during which Fenella made representations on behalf of local residents. The Decision of the Licensing Committee was that the licence for the New Inn would remain unchanged. The Committee accepted that there have been problems with the New Inn historically, but acknowledged the appointment of a new Licensee and the more robust style of management. Punch Taverns were reminded by the Chair of Licensing that they must liaise with local residents and commented also that the Committee take note of all Reviews. This has always been a sensitive application for Review, but local residents used this opportunity to come together as a local community & to make their voices heard. This has been very important as it has caused Punch Taverns to make changes to their original planning proposals for the New Inn; and to them understanding the need to work with local residents. The lawyer for Punch Taverns apologised unreservedly for the mistakes that were made with the planning application that was made at the end of last year. He also made it clear that the Review of the Licence had prompted Punch Taverns to improve the way in which the pub would be managed. We shall, of course, continue to support local residents to the best of our ability. We have been campaigning for lanes in our Ward to be thoroughly cleansed to remove flytipping, litter, and dog poo bags. Fenella said ‘The lanes between Cae Gwyn Road & Kyle Crescent, and between Pantbach Road & Grove Place are in a dreadful state. We have tried our best to litterpick as much as we can with local residents but the scale of the problem is too big now’. The lanes will now be thoroughly cleansed by Cardiff Council & the mulch-type debris on the pathways will be removed. We shall also be getting a bin in Grove Place to stop the litter building up and to enable dog walkers to dispose of any dog poo bags safely rather than dumping them in the lanes, or decorating trees with them. What have been Fenella’s achievements over the past 5 years? 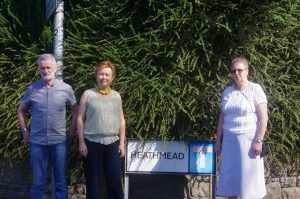 We are delighted to hear that Cardiff Council is finally to install a scheme to protect non-residents abusing the parking spaces within the sheltered housing area of Heathmead. This has lead to residents & their visitors/carers being unable to park near their homes. The scheme will involve CCTV cameras; new formal signage; and a ‘parking permit’ type scheme which the Warden will organise for residents. to work alongside the Council scheme. The scheme will be trialled for 6 months and if problems persist, the the problem will be revisited. 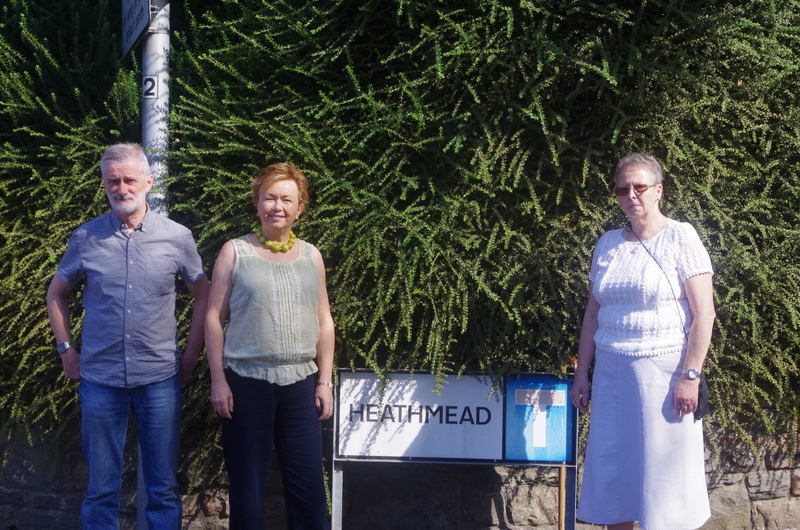 Jane Reece said ‘This is going to make such a difference to parking in Heathmead & I shall be monitoring it very closely, and getting feedback from local residents’. Our visit to Lamby Way! No support for disabled visitors. Is Aldi coming to Birchgrove? Cllr Fenella Bowden & the HBI team have been very concerned to hear that residents have been told by their Labour Councillor that Aldi is to open a store on Caerphilly Road on the currently derelict garage site. It is also claimed that there is a new housing development planned behind it. Fenella has checked this information with Cardiff Council who have confirmed that there are NO PLANS for these sites. Informal, and confidential, early enquiries from a developer to locate a supermarket on the derelict garage site have been knocked on the head by Cardiff Council as there is no suitable access from Caerphilly Road to accommodate such a development. There are also NO PLANS submitted for a housing development on the former Electrocoin site. Fenella said ‘I am appalled that information like this is being shared in the public domain when there is no substance to the claims. There would be huge ramifications for Caerphilly Road & the Phoenix Estate if a supermarket were to be allowed to develop in this location. 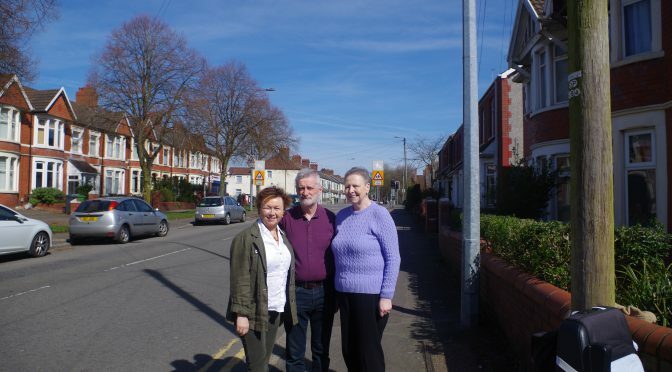 The access issues would be extremely difficult – especially with the new configuration of Caerphilly Road’. We shall be keeping residents informed. We want you to be aware of a recent increase in burglaries where entry has been gained through unlocked/insecure doors and windows. Please keep your properties secure and report any suspicious incidents. If you have any information that could assist us, contact 101 or Crimestoppers anonymously on 0800 555 111. Close and lock your doors. It is also advised to ensure porches, conservatory and patio doors are locked also. Do not leave your keys in the locks of your doors; these can be ‘fished out’ by talented burglars through the letter box. If you have an external light, ensure that it is working. Burglars do not want to be seen! If you have CCTV, ensure that it is turned on and recording, in particular over the night time. Be vigilant, please report any suspicious people or activity straight away so Police can conduct the necessary checks – who knows, you may prevent a burglary!